Today in Oxfam I bought an LP solely on the strength of its cover. 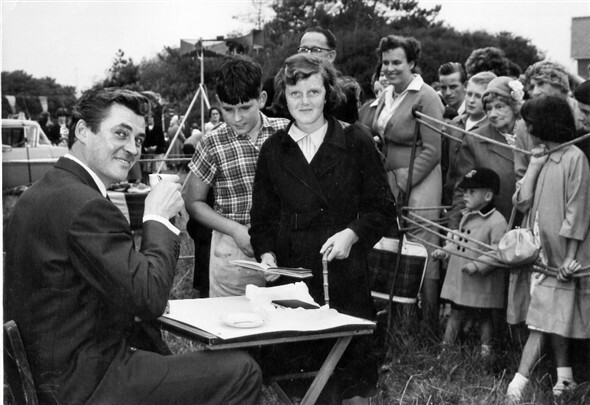 A social history of Britain in the 1950s all in one picture. Here it is. 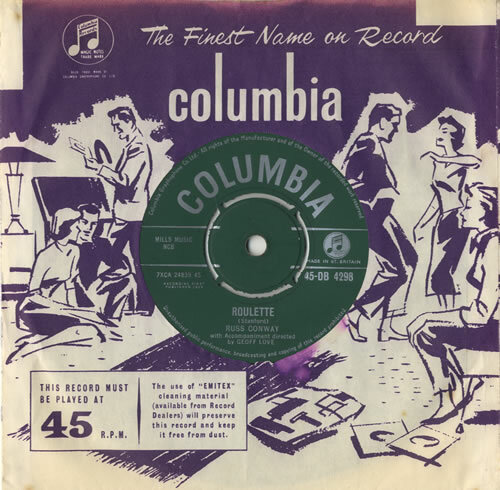 The record’s from 1958 and a decade on from the war we’re clearly still in the era of community singsongs where everyone will go to the pub and have a good old sing. Everyone is gazing fondly at the smiling piano player, apart from the woman sitting down on the right with her eyes closed in rapture. The man on the left in the green jumper and red tie is making eye contact with Russ – for it is he – while singing along enthusiastically but in a polite sort of way with whatever well known family favourite Russ is playing. The younger woman on the right in the red suit has her head slightly inclined, perhaps looking at the pianist’s hands to see exactly what notes he’s playing. Because she probably plays a bit herself. Many people can and it’s by no means unusual to find an upright piano in many a front room. Meanwhile mine host, the landlord beams genially in the background. A singing pub is a happy pub. Good for business but never too rowdy and all nice songs. Not like that skiffle and teddy boy music he’s been reading about that makes people rip up cinema seats. Not round here thank you very much. Here’s ‘nice’ and always will be. And though it’s a mostly white world, there’s a black woman standing behind the man in the green jumper, singing and smiling like everyone else. What a wonderful world! 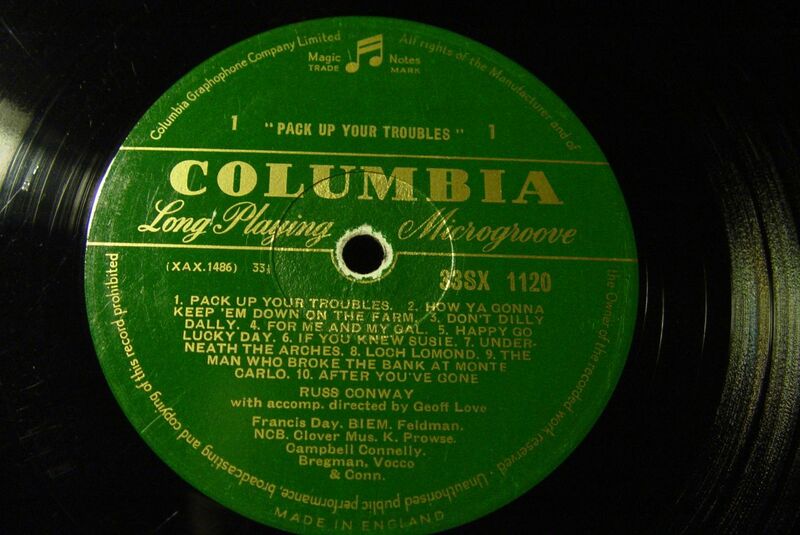 The record itself has clearly been well played. Itself the veteran of many a singsong round the radiogram at family parties. Look. And look at those songs. I bet if you were around in those days, even if you were only four years old like me, you can sing every word of every one of them. 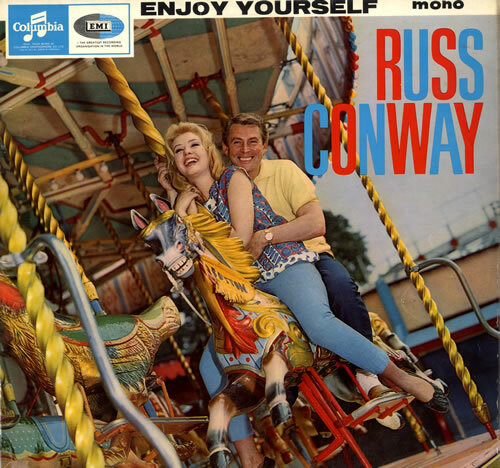 Because when I was growing up, in the late 50s and early 60s, I thought Russ Conway was bigger that Frank Sinatra, Peggy Lee or Elvis Presley. And pretty much as famous as Cliff Richard. He was certainly all over the Light Programme on the radio. And when we got a TV he seemed to be the permanent guest on all the variety shows, particularly the Billy Cotton Bandshow that I’ve mentioned before on here. I don’t remember particularly liking his music but he always seemed a likeable enough bloke in himself. Here he is, joking and then playing on, of course, the Billy Cotton Bandshow. Nosing around on Google I’ve found a good deal more of Russ that shows him living his successful life in a Britain just getting used to the idea that prosperity might not in fact be a bit much for the likes of us. Having a night out at the cinema. Having a day out in the country. Notice on these last two Russ is wearing the same yellow shirt. Might as well get his wear out of it. Prime Minister Harold MacMillan might well have been telling us we’ve ‘Never had it so good’ but it still pays to be a bit careful about things like casual clothes. I mean, they’re not proper clothes like suits and sports jackets are they? And here is Russ in a suit, enjoying simply being famous. It’s a world where Russ, at least, is always surrounded by effortless style. Even on his singles. 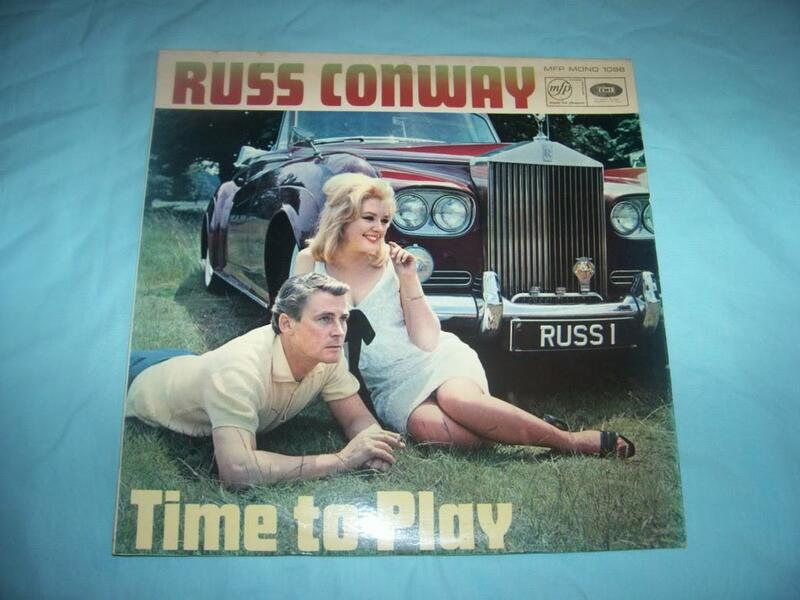 I can remember once, when I’d got a bit older and forgotten about Russ Conway altogether, being mildly snooty about the cheery Cockney music of Chas and Dave. Something I now know I was entirely wrong about. Their music is quintessential working class music and a reminder that music doesn’t have to be all corporate and digitally protected. That music can be a collective joy, a binding agent between all sorts of different people, the flow and the very rhythm of life. 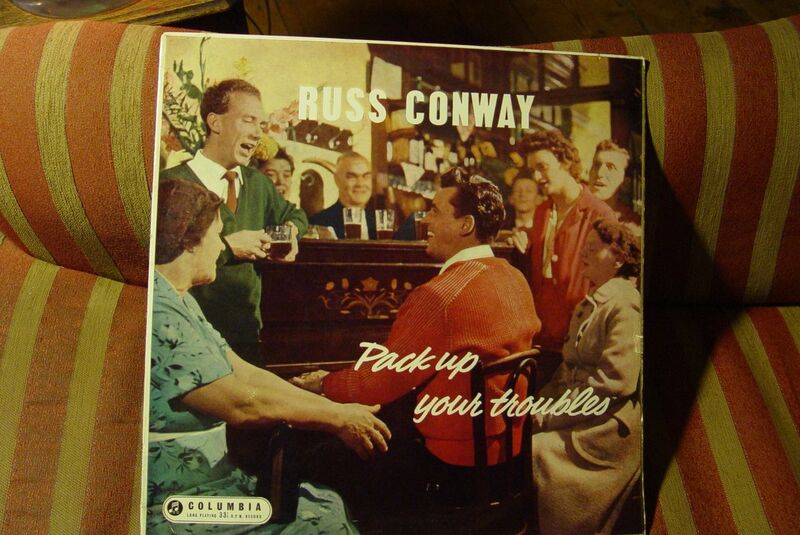 And that’s how Russ Conway’s music is too. 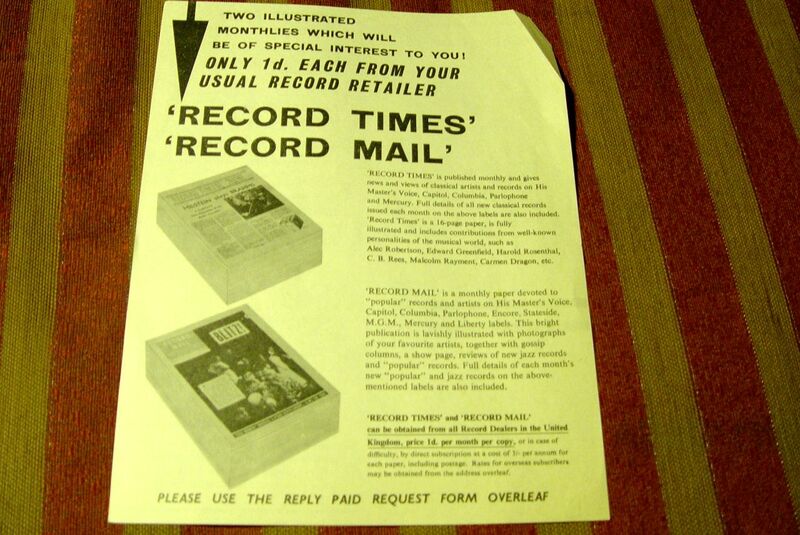 One final joy, on getting the LP home, was to find this 1958 advert, still inside the sleeve. Mm, think I’ll send away for them! Only 1d. each and full of ‘gossip and jazz reviews.’ Rush me my monthly copies now. 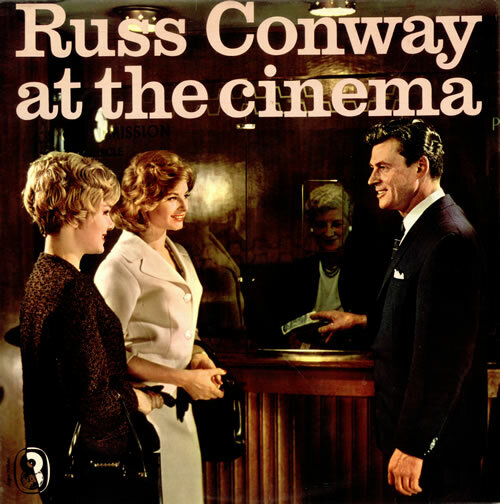 Russ wasn’t alone in his piano-playing fame in those days. 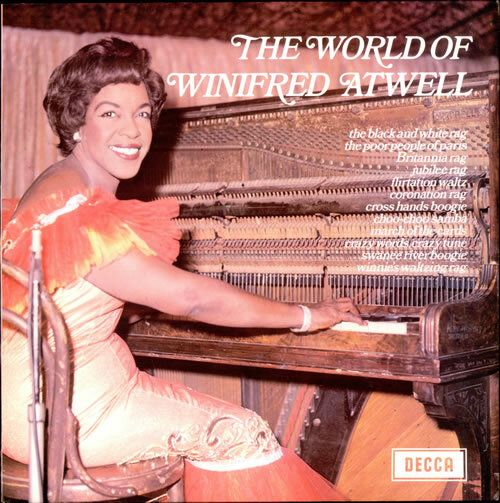 Variety programmes that didn’t feature him would always have one or other of Winifred Atwell or Gladys ‘Mrs’ Mills handling community singing duties from the piano stool. None of the 3 of them would ever sing of course. Their job was to keep rolling out the familiar melodies whilst beaming sideways at us lot. Our job, the community’s job, was the singing. 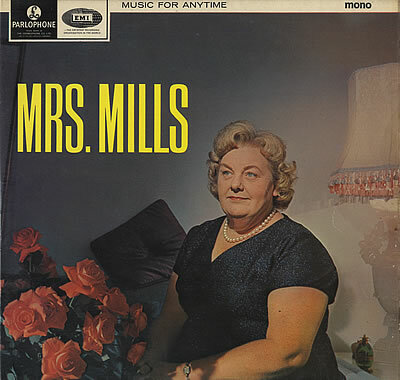 Even now there’s a band in London called the ‘Mrs Mills Experience’ I notice. So if you’re having a do you could do worse than getting in touch with them, I’d say. How odd, I thought about him this morning! Russ or Billy? If it was Billy I think years of therapy may be ahead of you! Russ! I always thought he was smiling at me (Russ), his finger always fascinated me- I guess that therapy might go on for some time….. Yes, it sneaks up on you doesn’t it?